I wrote this article for BGLH and for those who did not catch it there, here it is again. Many naturals preach about the virtues of daily moisture, some even advocate for moisturising hair twice daily. The idea is that moisturised hair is less susceptible to breakage and is easier to handle. However, what if your hair is not in that category? 1.Does your hair shrink to a third or less of its full length when wet? If your hair is 6 inches long but when wet and allowed to shrink with no restriction goes to 2 inches or less, you are in the category of high shrinkage. Hair with high shrinkage will tend not to form clumped up curls and instead each individual hair coiling down has a tendency to tangle and intertwine with other strands. 2. How does moisture affect high shrinkage hair? 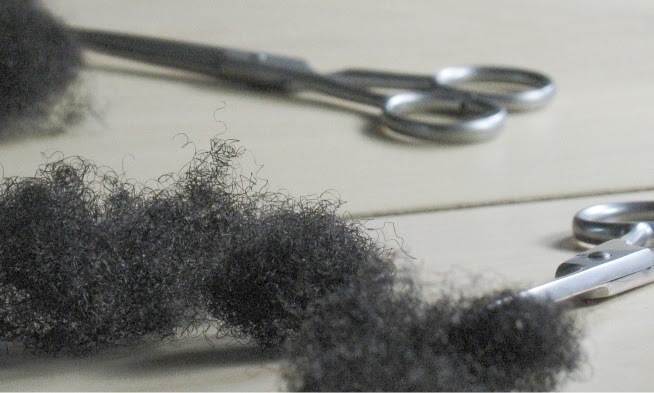 If hair is in a free and open style, this type of shrinkage will encourage complex knots where several strands interlock when moisture (water or a water containing product) is applied and the hair is subsequently manipulated with fingers, a comb or brush into a style. These complex knots are entirely preventable but when they do form, they can be difficult to undo and need to be cut off hence stunting progress. 3. What if hair is not free but in a protective style? In a braided or twisted situation, hair will still shrink although in a more controlled manner therefore for example 6 inches may shrink to 4 inches instead of 2. There is however a potential shrinkage related problem, a term called meshing where several strands within the twist or braid intertwine. This is the reason why some people can detangle hair and braid or twist it but after leaving the style for a few weeks, the hair requires quite a lot of detangling during the takedown. If the style is left in place for long, matting is also a possibility. 4. Should you completely avoid moisture on high shrinkage hair? No, it is not the case that you should avoid using water but rather you may benefit greatly from spreading out the sessions. If you can moisturise once a week or once every 3-4 days, you will be able to keep your hair in a more stretched out style with minimal shrinkage which is beneficial for people with high shrinkage hair who want to grow it out longer. 5. How will hair get moisture if you are only moisturising once a week? The purpose of moisture is to help hair be more flexible and this is most important during manipulation. If your hair is generally in a protective style, you are not manipulating the individual strands on a daily basis but your hair does need to moisturised when you are taking down or putting in the style. Finding a good leave in conditioner and routine based on your needs is also key e.g some people advocate for heavy cream moisturisers and light oils or light water/glycerine mixes with heavy castor oil or indeed a variation of these combinations. 6. Who will benefit most and who will benefit least from not moisturising daily? If your hair clumps up naturally, daily moisture is not a problem, you will encourage clumping and reduce tangling by using water based products frequently. 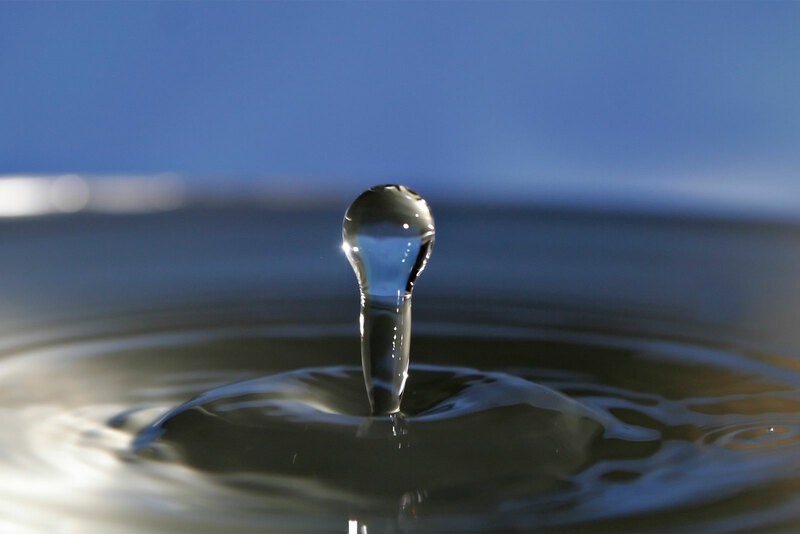 Avoiding water based products can cause your hair to frizz and tangle, so water is really for you. If your hair feels dry and brittle because water causes it to shrink up tightly, you are in the class who may benefit from not using daily moisture. Avoiding this complete, tight shrinkage is the key to preventing unnecessary tangling and breakage. The object of this article is not to be controversial but rather to again encourage every reader to think of their hair individually and not follow rules that may not suit your hair. It is not written with the intent of making people gather a complex about water or indeed have people ducking out of the rain, but rather to encourage a different way of thinking for those who need it. I think there is also the problem of dry scalp. My daughter and I experience shrinkage on washing but we also have dry scalp which can be itchy if not moisturised. So I'll choose moisturizing everyday or at least every other day because I'm more interested in our hair being healthy than for it to be long. Any day without moisture and dryness/itching tends to creep back. Daily moisturizing with water/glycerin/olive oil (and only castor oil every other night) has made such a difference. Dryness for me is gone. I've not seen my daughter itch in a long time (the after-effect of some fungal infection that even the most expensive fungal medication from our doctor did not fully get rid of). Daily Moisturizing may not be for everyone but for some of us, it is cheap and very healthy - a Godsend! Your post offers an interesting perspective though. Everyone's hair is different. I'll say: if you have to choose between losing a few strands of hair and dealing with long term damage that itching and dryness can bring, moisturize your hair. It would be better in the long term and would be healthy. It may depend on what you use as moisturiser. This combo: Water/olive oil/glycerin and lavender works a treat for us. I agree that you have to do what works for your hair and scalp but I have never thought that there is a choice between gaining length and a healthy scalp. In my view, a healthy scalp will help you gain length. Simpler things like gentle massage to distribute scalp oil, using gentle shampoo (see the list of the most gentle shampoos with no anionic surfactants), finding the right conditioner and properly dealing with dandruff and eczema will in the long run mean that you do not need to apply a product to your scalp on a daily basis in order to keep it moisturised. I think that if you have to sacrifice length for a healthy scalp or vice versa, then you perhaps should rethink what you are doing because both go hand in hand. Moisturizing my hair every day hasn't worked since my hair started getting some "hang." A good leave in conditioner and sealer is really all I need to keep my hair happy and hydrated for a week. Now that it's past my shoulders, the idea of it just makes me shudder. The same here, a good leave in and sealer is all I need. I do the samething you do Alice. Thank you so much for this article. I have thought about this but subjected my hair to frequent moisturizing as I felt that's what I had to do. My hair shrinks quite a lot and everything you mentioned about tangles and shrinkage, I have experienced. Now I see why my hair gets so matted in protective styles and my progress have been retarded.I am going to try not moisturizing frequently and see what happens. I am glad this was insightful for you. I hope you are successful with a lower frequency of adding water. The best and most important part in my opinion "encourage every reader to think of their hair individually and not follow rules that may not suit your hair" could not have said it better! this is an interesting perspective. my hair falls into the high shrinkage category but i find that i have to moisturize at least every couple days or i get a lot of fuzzy knots at the end of my braids/twists. i guess hair can look similar but still react very differently. great post! As one whose hair shrinks a lot this information is very useful. I couldn't agree more with this JC! I have high shrinkage hair with fine strands and when I grew out of the TWA phase, daily moisture that involved misting my hair with a water based product definitely did more harm than good. I definitely find that moisturizing my hair every couple of days is way better for me and deters knotting so I can keep more of my length. I love this. I'm transitioning (13 months) and in forums Í'm always saying that transitioning hair should not be moisturized daily. People gasp like it's a blasphemous statement...but unless one wants to re-braid and manipulate 2 textures nightly, it's not a good idea. I personally only use water/waterbased products on wash day, or if I'm picking hair up. Otherwise I make the hair flexible/pliable with my sealants. I personally moisturize my hair based on weather or not it is starting to feel dry. If it feels dry then I remoisturize (in twist), a light spritz and oil. If loose then a hair cream but I usually keep it stretched with chunky braids or twist or bantu knots overnight, then undo the next day. This only occurs every two to four days, not everyday. My hair strinks up at least 70-80%, so I totally agree, knots and tangles are a hassle to deal with vs daily moisture. If I understand your article correctly, you seem to suggest that daily moisture may not be ideal for tightly coiled hair (like mine) because of the disadvantage of knots. Logically speaking, this article does not contradict the idea that daily moisture may still be needed. It's just saying that daily moisture has disadvantages for certain types of hair right? Or is your article suggesting that if hair shrinks, then it is likely to be fine as well as lacking the sebum to protect against dryness?? Trying to understand the causal links. Thank you SO MUCH for your blog and this article. You should ask for funds to finance updating the site. The search feature does not work really well right now. Hi. I have extremely high shrinkage, coarse hair and my hair forms clumped/defined coils to the point people think I get tiny twists or dreads. I have not seen many people with this combo. My hair strands look like they cracked and split along the length. I don't style or manipulate after washing because it would require too much work since it is coarse and tight. So I only wear wash and gos and wet in between because when I sleep it flattens to my head. I see that you are against raising the cuticle layers to allow moisture in. But is that the case even for coarse hair with flat cuticles? What do you advise to moisturize hair that is coarse, has high shrinkage and clumps? I am going to start doing coconut oil pre-poos because I think that the cracks and splits along the strand is due to hydral fatigue, possibly?